I began the year by asking if the minerals industry will grow and prosper in 2012, as in 2011 the prices of most metals, apart from gold, had fallen by 20-25% of their values during the year. This year has seen a rise in the price of all the major metals, apart from nickel, but rising production costs have tended to erode the benefits, and it is clear that there is a need to improve operations, by reducing energy costs and introducing innovative technology. This may explain why many of the major mineral processing conferences have seen record attendances during the year, researchers and operators coming together to discuss the burning issues of the day. The importance of networking has also been apparent by the rapid rise in members of MEI’s LinkedIn group, Minerals Engineers, which reached 2000 members in January and 3000 by July. Membership now stands at over 3500. 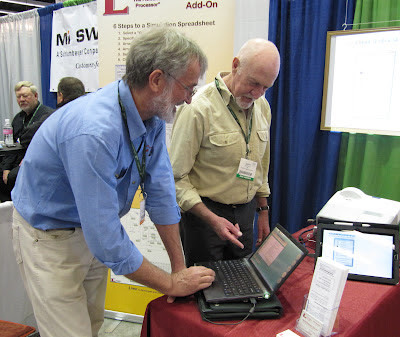 The SME Annual Meeting in February was held this year for the first time in Seattle. This is an event I have attended regularly since the late 80s, as it is one of the great meeting places. Together with its huge exhibition, it also has a multitude of technical sessions on all aspects of the minerals industry, in a bewildering array of parallel sessions, as well as various receptions, symposia, awards ceremonies, workshops etc. With an attendance of 5100 delegates, and 690 exhibition booths, this was roughly the same size as last year’s event in Denver, which had one of the highest turnouts ever. 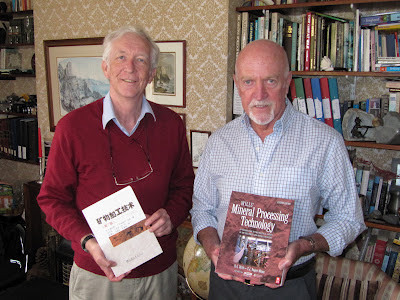 I am please that I met for the first time Prof. Maurice Fuerstenau, of the University of Nevada-Reno, who sadly passed away later in the year . It was particular good to see Dave Meadows of FLSmidth, who was a student of mine at Camborne, and graduated in 1985. 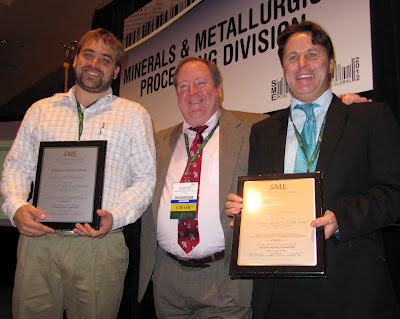 Together with Peter Amelunxen, of Aminpro, Chile, one of my Minerals Engineering reviewers, they received the Arthur Taggart Award for the paper that best represents a notable contribution to the science of mineral processing. 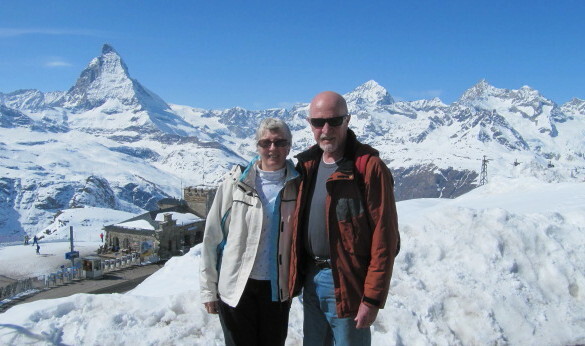 Next year the SME Meeting is in my favourite American city Denver, which gives Barbara and me the chance to do some skiing in the Rockies. We missed that this year, so in March spent a week in the Swiss town of Zermatt, surely one of the world’s most beautiful areas, dominated by the views of the Matterhorn. There was a record turnout at MEI’s Comminution ’12 in Cape Town in April. This was the 8th in the series, and was attended by 253 delegates from 30 countries. I spoke of the quiet revolution which has been taking place since the end of the last century. 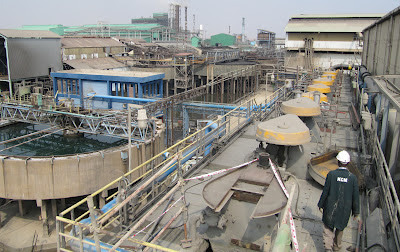 Autogenous and semi-autogenous milling have become more prominent, and high-pressure grinding rolls are now playing an ever increasing role, as are stirred mills, the latter allowing the exploitation of ultra-fine grained ores which had hitherto been impossible to economically treat. This revolution continues, so that comminution circuits today are very much different to those of the mid-20th century with their parallel lines of small ball mill-cyclones. People are still very much aware of the energy consumed in comminution, but are now prepared to really do something about it. The papers presented at the conference, including the two keynotes, were of very high quality and we had a very full programme. 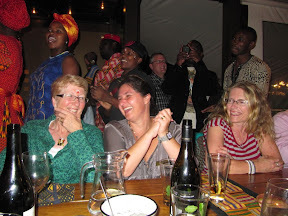 However there was also time to relax in the evenings, which included a very entertaining and informal dinner at the Gold Restaurant in the centre of Cape Town. 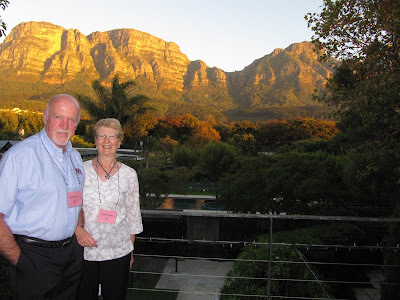 After 4 intensive days at the conference Barbara and I flew to Upington in the Northern Cape, from where we rented a car and drove 640 km to the Fish River Canyon in Namibia. We spent four nights at the Fish River Lodge, perched directly on the southern rim of the Canyon, second only to the Grand Canyon in size. A notable difference to the latter was the almost complete lack of tourists in this remote region of Namibia, well away from the more popular northern tourist route. And then back to Falmouth, just in time to see our local conference venue, the Falmouth Beach Hotel, completely destroyed by fire, and only 7 weeks out from our next conference. 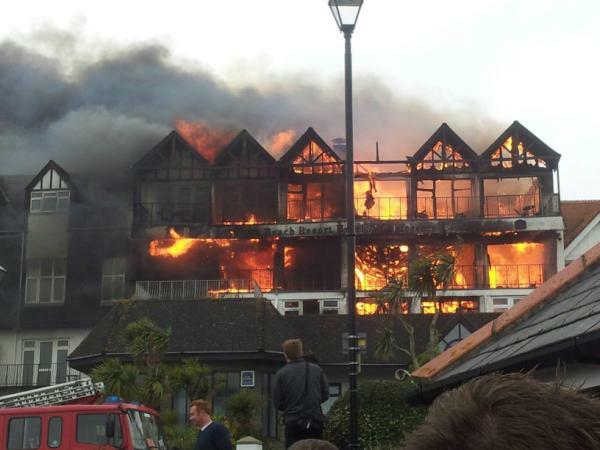 The fire brought to an end 13 years of conferences at this lovely venue, but we were fortunate to be able to transfer our bookings to the nearby St. Michaels’s Hotel, in time for Biohydromet ’12 in mid-June. 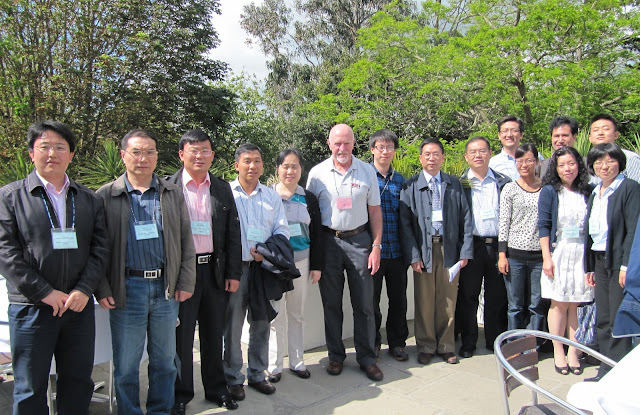 It was another record attendance for this, the 6th MEI conference on biohydrometallurgy. It was sponsored by FLSmidth and ProMine, with media sponsorship by International Mining, and attracted 81 delegates from 22 countries, 13 of these being from China. There were 9 Chinese delegates at Comminution ’12, and what is particularly encouraging is how young and vibrant these people are, and the number of females who are attending. 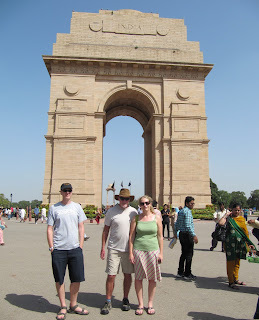 They are a pleasure to work with and they are keen to network with western delegates. They have fresh ideas and both east and west can benefit from this interaction. Biohydromet ’12 was a very enjoyable conference, which included a wonderful dinner at Cornwall’s iconic Eden Project. I felt that the conference came at a time when rapid advances in our understanding of the science of microorganisms has in effect awoken biohydrometallurgy from its long slumber, and it now looks as though it might start to realise its true potential and provide real benefits to the minerals industry. A few days after Biohydromet ’12 Barbara and I took the car ferry from Plymouth to Santander in northern Spain, and then the short drive to the Picos de Europa, one of Europe’s last mountain wilderness areas. 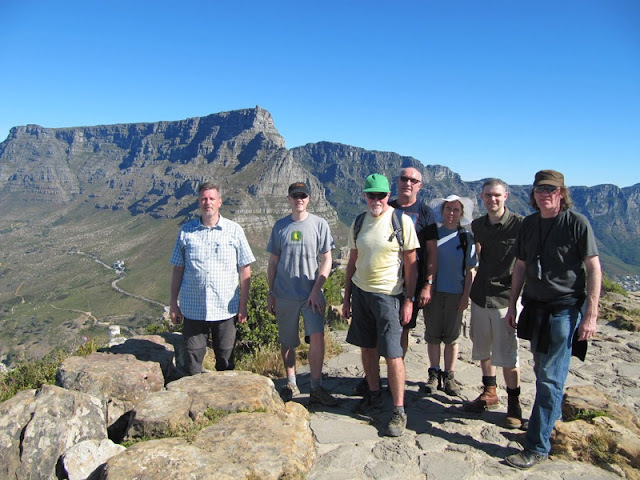 It is a highly recommended walking area, many of the trails between the jagged peaks, in the deep canyons, and around the glacial lakes providing complete solitude and spectacular scenery. Forty years ago I worked on the Nchanga copper mine in Zambia. In August, Barbara and I returned to Chingola for a nostalgic week visiting the town and the mine. And how things have changed; the once magnificent infrastructure of the Copperbelt has almost vanished, and what was once a pleasant drive from Lusaka to Chingola was now a gruelling 7 hours, mainly due to the awful state of the Copperbelt roads. 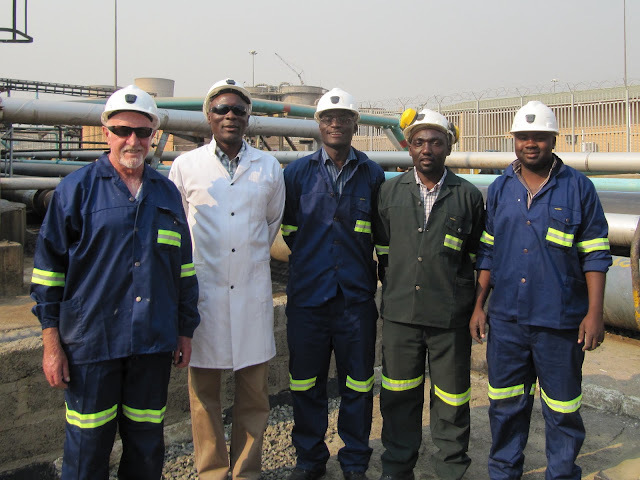 Nevertheless it was a very enjoyable week, mainly due to the very friendly people that we met, not the least the very impressive Zambian metallurgists who spent a day with me on the concentrator and tailings leach plant. In early September we had a welcome visit from Tim Napier-Munn and his wife Georgie, who were touring Europe. Tim co-edited the 7th Edition of Mineral Processing Technology, and coincidentally on the day of his visit I received copies of the Chinese translation of the book. The main event of the year was the biennial International Mineral Processing Congress (IMPC) which was held for the first time in India. MEI was a media sponsor, and Amanda, Jon and I were three of only 9 representatives from UK amongst the 1260 delegates from 45 countries, a sad reflection on the general state of mineral processing research in the UK. The event was very well organised and it was evident that the IMPC had encouraged as many students as possible to attend the meeting. This is highly commendable, and it was really good to meet these young people at the MEI booth. We were back in Cape Town in November for three MEI conferences. In introducing the first one, Process Mineralogy ’12, I had the pleasure of presenting the inaugural MEI Young Person’s Award to Peter Amelunxen, of Aminpro, Chile. 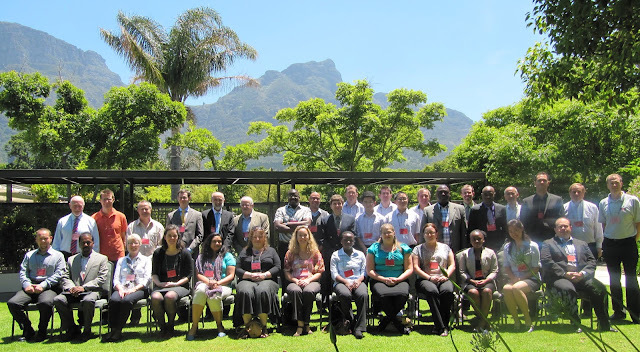 Process Mineralogy ’12 was the second conference in this series, and despite the recent problems on the South African mines, attracted a record attendance of 123 delegates from 21 countries, and nine sponsors. How things have changed since my time in Zambia forty years ago, where we did not even have a microscope on the concentrator, despite the suite of economic copper minerals in the ore.
Now that ores have become more complex and refractory, knowledge of process mineralogy is essential on every mine, and the tools with which we analyse the behaviour of mineral assemblages have by need become increasingly sophisticated (and expensive!). Over the intensive three days of the conference, we had case studies from various operations, the emergence of new technologies, such as tomography, and the continued development of geometallurgy, the science of integrating geology and mineralogy with mineral processing and extraction. 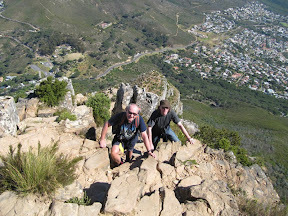 During the weekend break Jon and I, and a few of the delegates, hiked to the top of Lion’s Head, one of Cape Town’s most spectacular mountain walks. Then it was back to the Vineyard Hotel for two commodity conferences running back to back. Precious Metals ’12 was attended by 51 delegates representing 11 countries. Numbers were slightly down on previous years, mainly due to the violent wildcat strikes in the South African platinum mines, which led to killings and destruction of infrastructure, and only three delegates from the platinum sector were at the conference. Two excellent keynote lectures highlighted the squeeze on the gold and PGM industries, and the conference brought together highly motivated delegates who discussed innovative technology which will bring economic benefits. There has been an 11% increase in gold production since 2004, but although the gold price has risen markedly there has been a 155% increase in production costs since 2005, so the profit margins are not as high as many people might think. The same applies to PGM ores, where profit margins are extremely low despite high platinum prices. This year has been particularly drastic, and many South African mines are now non-profitable, some running at high losses due to factors such as very high electricity costs, and frequent power cuts, as well as very high mining costs due to deep mining. Precious Metals ’12 was followed by Nickel Processing ’12, the 3rd in the series of what are MEI’s smallest conferences, but which always attract high quality delegates and papers. This year, 35 delegates representing 8 countries attended, and the first day concentrated on laterite processing and the innovative technologies that are being developed to attempt to address the current processing issues, including some that are in their early stages of development. 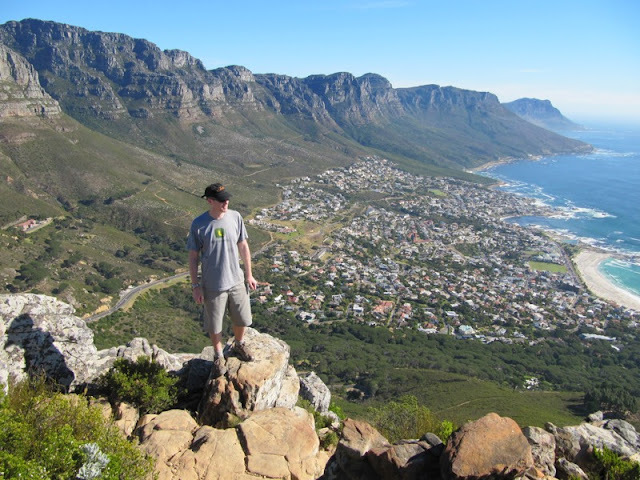 After nine days of conferencing, it was good to relax for a week at Camp’s Bay, Cape Town’s most popular beach, before heading back to Falmouth to face the Cornish winter. While we had been away south-west England had experienced widespread flooding due to the torrential rain, and the train journey from Heathrow to Falmouth took one hour longer than the flight from Cape Town, as there were numerous detours due to the floods. 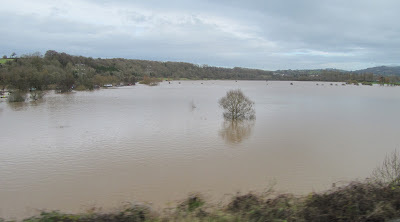 And the rain is still incessant, making 2012 the wettest year on record. The rains have led to major travel disruptions, particularly here in the south-west, and cancellations of many important events. Luckily the two major events of the year, the magnificent London Olympics and Paralympics, escaped the worst of the weather. Due to our remote location, we enjoyed the Olympics on TV, both at home and in Chingola, but the sun shone on Falmouth when we saw the Olympic flame pass through the town on its long journey from Land’s End in Cornwall to the Olympic stadium. It has been another interesting year with MEI, and we now look forward to 2013. On behalf of all the ‘MEI family’ I wish you all a very happy New Year and we look forward to catching up with as many of you as possible during our travels around the world. Hundreds of Santas massed on The Moor in Falmouth yesterday for the start of the annual charity Santa-run through the town's main streets. We are now winding down for the holiday, so on behalf of the MEI family, I would like to wish you all a very happy Christmas and New Year. 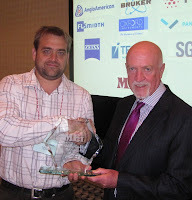 Last month in Cape Town I had the pleasure of presenting Peter Ameluxen, of Aminpro Chile, with the MEI Young Person’s Award for 2011. 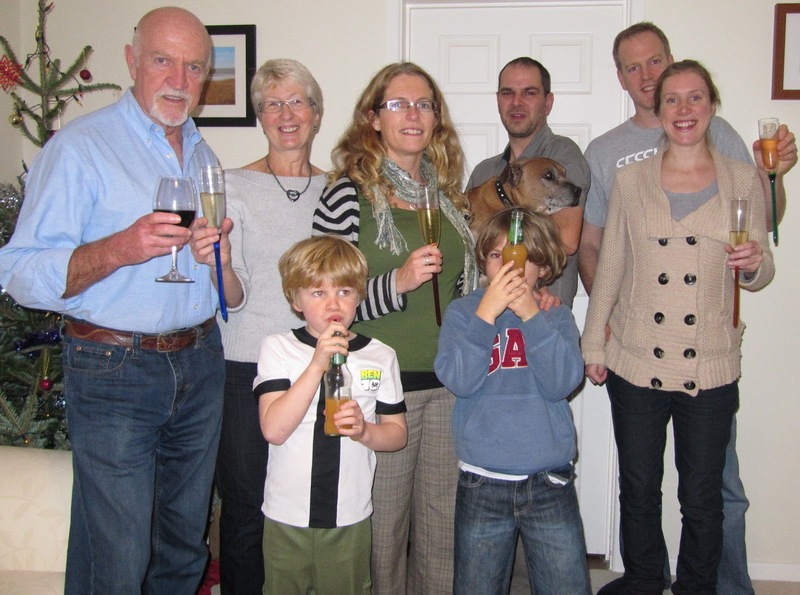 Full details of Peter’s very impressive citation can be found on MEI Online. We are now inviting nominations for the 2012 award, for outstanding contribution to minerals engineering by a young person in 2012. Nominations for persons under 35 years of age at December 31st 2012, should be submitted by email to bwills@min-eng.com by 9th February 2013 and the name of the recipient will be announced at the end of that month. Nominations should include the name, age and affiliation of the nominee, and reasons for the nomination. The recipient will receive an engraved award, a certificate and a complimentary registration to any MEI Conference in 2013/14, with the option of presenting an MEI Award lecture. 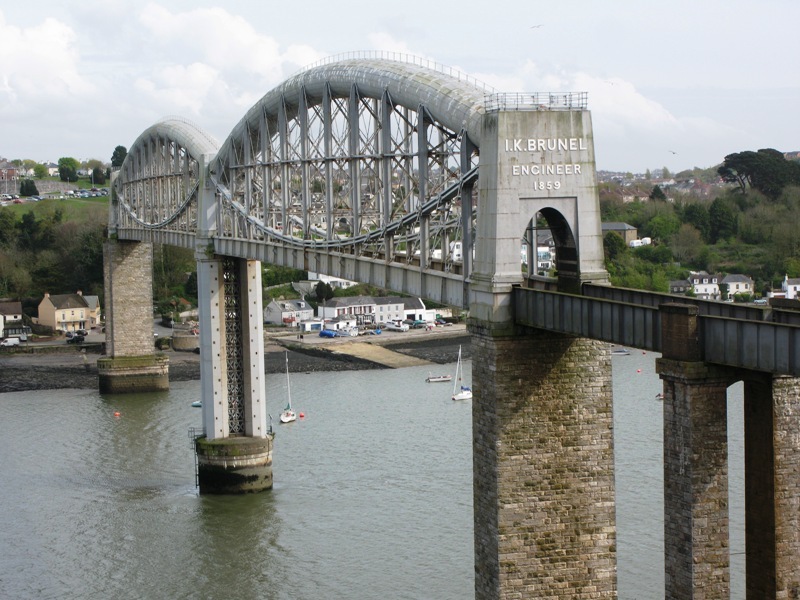 Anyone travelling to England’s West Country cannot fail to spot the legacy of Britain’s most famous engineer, Isambard Kingdom Brunel (1806-1859). In an earlier posting, I mentioned the three options for travelling to an MEI Conference in Falmouth, rail, road or air. The first two options are our preferences. 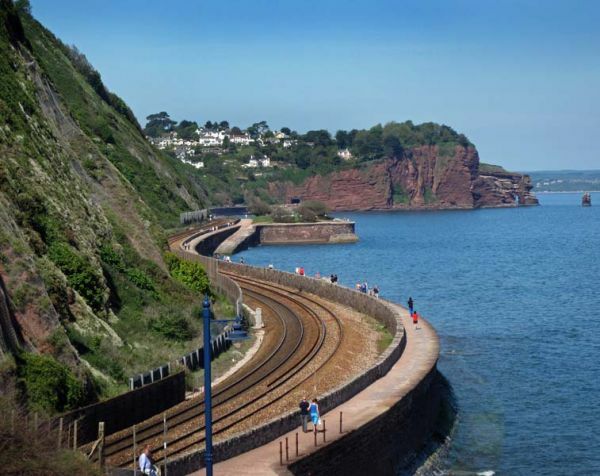 If travelling by train, you will meet up with Mr. Brunel, or at least his statue, at London’s Paddington Station, the gateway to the West Country. Brunel designed the Great Western line from London to Penzance, one of the world’s great train journeys, and none more so than the stretch between Teignmouth and Dawlish, where the track skirts the coastline, cutting through the new red sandstone cliffs, formed during the Permian period. If you choose to travel by road, as you cross the River Tamar, via the modern suspension bridge, you will see Brunel’s famous iron railway bridge running parallel across the Tamar, which separates the county of Devon from Saltash in Cornwall (which incidentally is where the name Wills originated- but that’s another story). If you can spare an extra day, I would really recommend that you break your road journey at Bristol, 180 miles from Falmouth. Leave the M5 at Junction 19 and take the short journey to the Avon Gorge Hotel, which overlooks the gorge, carved out of the carboniferous limestone by the River Avon, as it makes its way to the River Severn at Avonmouth, once the home of the UK’s lead-zinc Imperial Smelter. 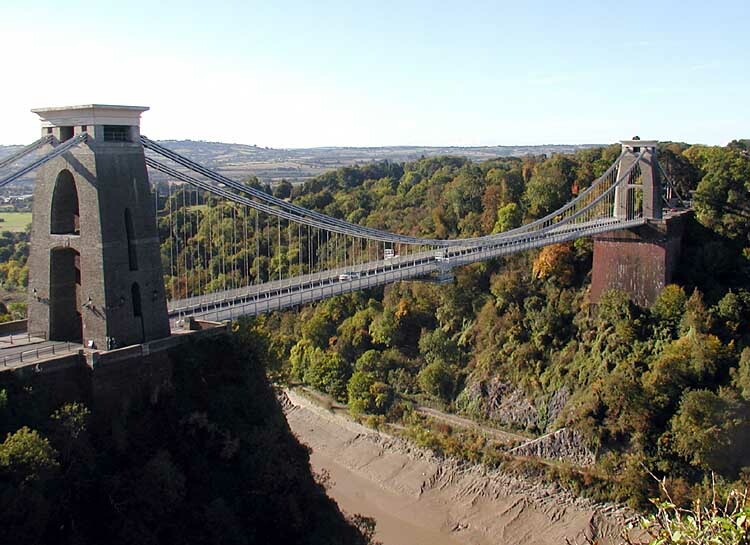 The hotel is only a couple of hundred yards from one of Brunel’s most famous designs, the Clifton suspension bridge. As this was completed before the age of the motor car, the road is surprisingly narrow. There are some excellent restaurants near the hotel and on the following morning I suggest a pleasant 2 mile stroll along the river to Bristol harbour, where you can visit another example of Brunel’s eclectic designs, the SS Great Britain, the first iron steamer to cross the Atlantic, which she did in 1845, in the time of 14 days. Then after a light lunch at the excellent museum, drive back to the motorway to complete your journey into Cornwall. The following review has kindly been submitted by Prof. Fathi Habashi of Laval University, Canada. 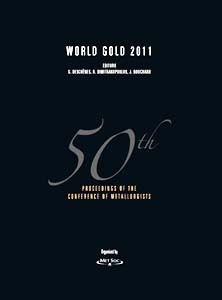 The present volume is the Proceedings of the 50th Conference of Metallurgists held on October 2-5, 2011 in Montreal. Participated in the organisation of this conference are the following: Hydrometallurgy Section of the Metallurgy and Materials Society, the Geological Society, the Maintenance and Engineering Society, the Management and Economics Society, the Society for Rock Engineering, the surface Mining Society, the Canadian Mineral Processors Society of the Canadian Institute of Mining, Metallurgy and Petroleum, the Australian Institute of Mining and Metallurgy, and the South Africa Institute of Mining and Metallurgy. I am puzzled that the term “Preg-robbing” is still surviving in the scientific literature although it is non-scientific and definitely should be replaced by, for example, “adsorption losses”. Other than that the book is very well produced and contains a wealth of information that is very useful for the practicing engineer, for researchers, and for students. World Gold 2011, edited by G. Deschênes, R. Dimitrakopoulos, and J. Bouchard, xvi + 915 pages, 18 x 26 cm, hard cover, ISBN: 978-1-926872-03-2, published by Canadian Institute of Mining, Metallurgy and Petroleum. Although Flotation ’13 is almost a year away it has already attracted major corporate support, with 14 major sponsors and two prestigious keynote speakers. 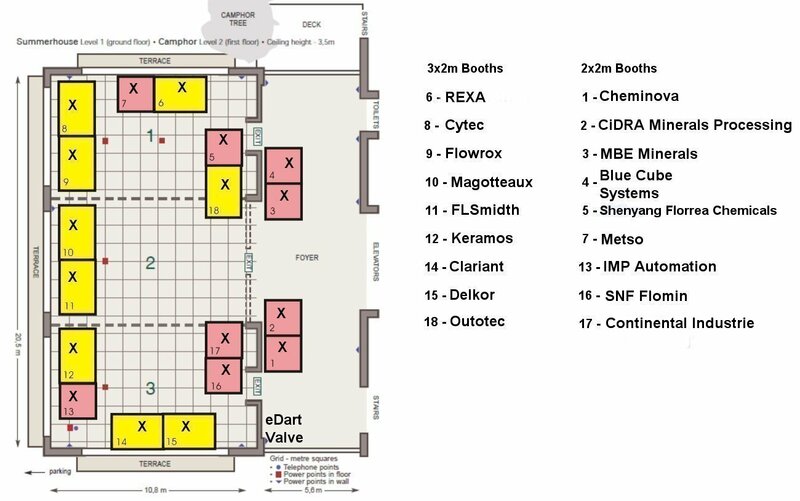 The purpose of this posting is to advise that if your company would like to exhibit at the conference you should contact us as soon as possible, as all 3m x 2m booths have now been taken, and only six 2m x 2m booths remain available. If you are thinking of exhibiting, then it is also attractive to sponsor the event. 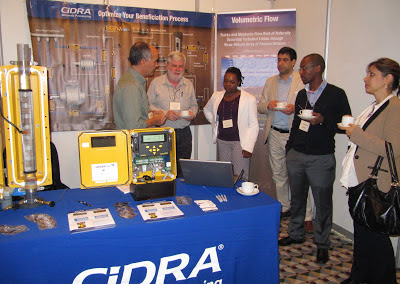 Flotation ’11 was attended by 283 delegates from 30 countries, and interest is such that we expect many more next year. It is the event not to be missed if you are involved with any aspect of froth flotation. 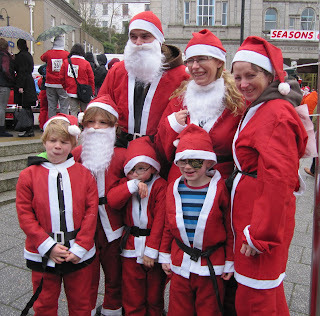 We are just back from the excellent Camborne School of Mines Association Christmas lunch, held at the Penventon Hotel in Redruth. The great thing about this annual get together is that you never know who will be there, and there are always surprises. The pictures below are of ex-CSM staff, academic and non-academic, and one current member of staff (who was also a past student). I have not put any names to faces, but I am sure that if you were involved with CSM in the past you will recognise many of these faces.